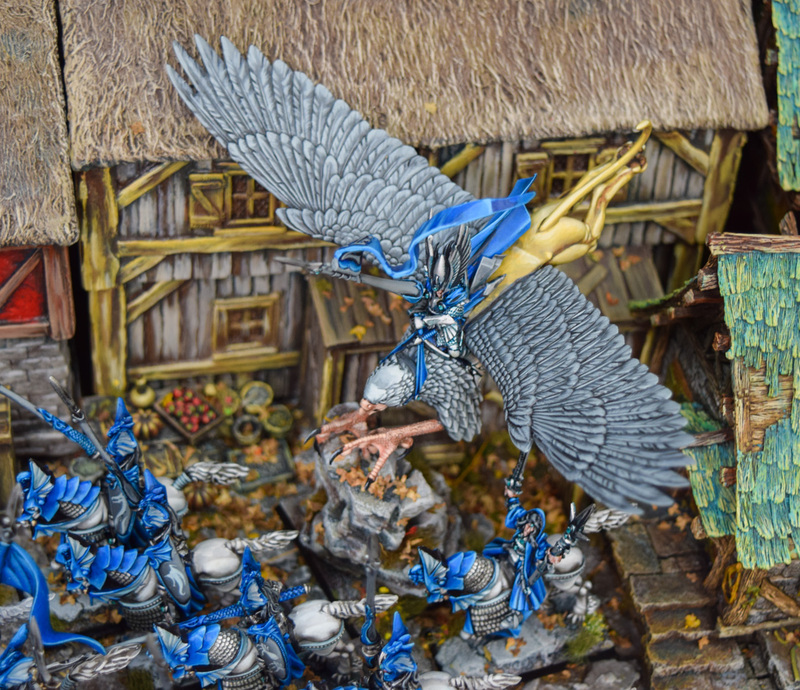 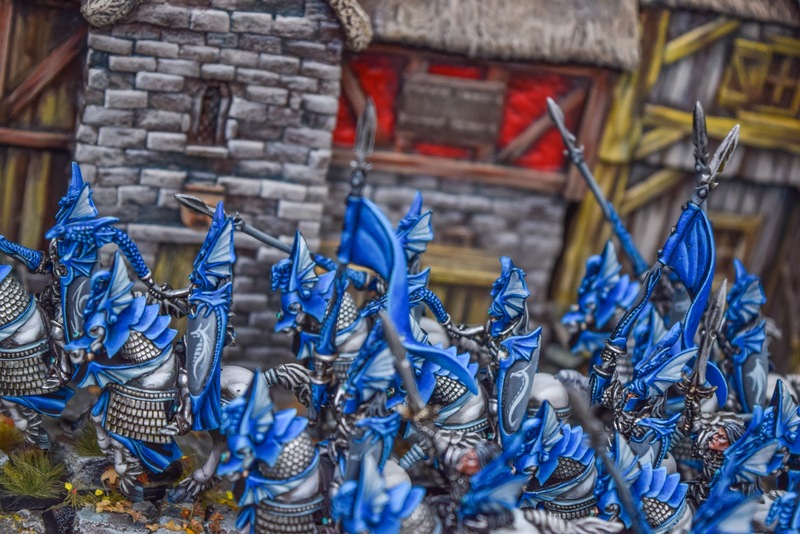 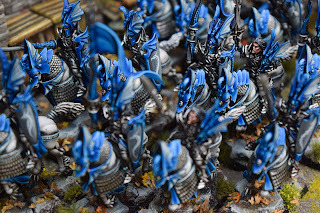 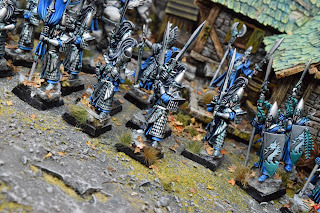 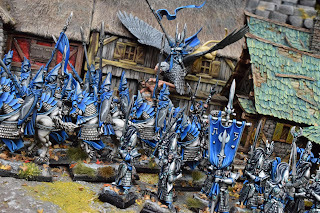 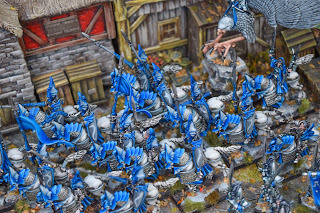 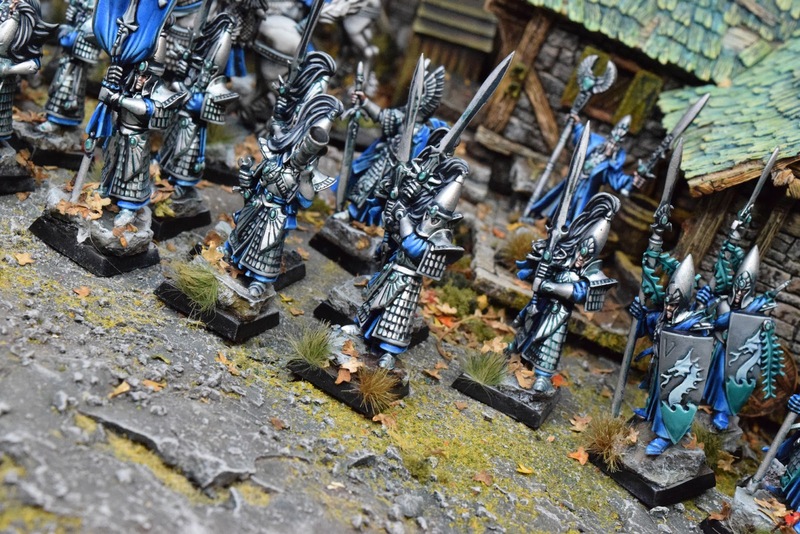 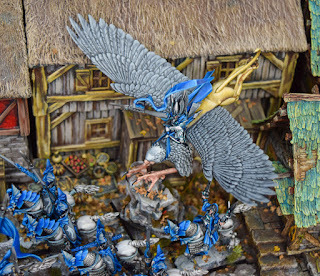 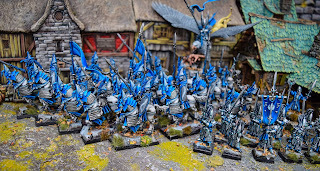 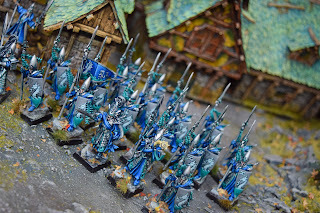 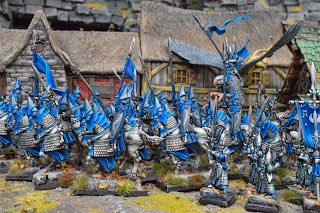 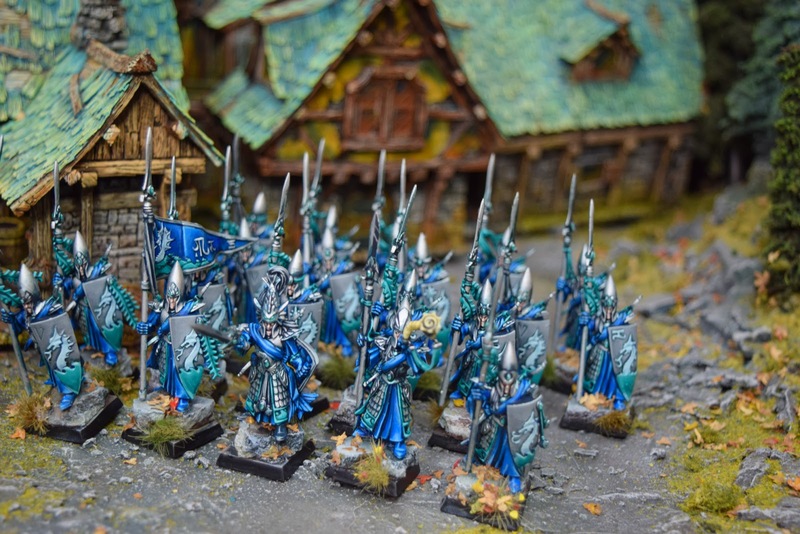 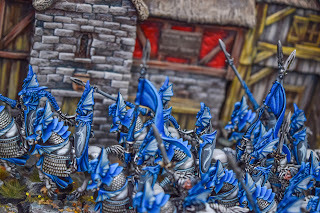 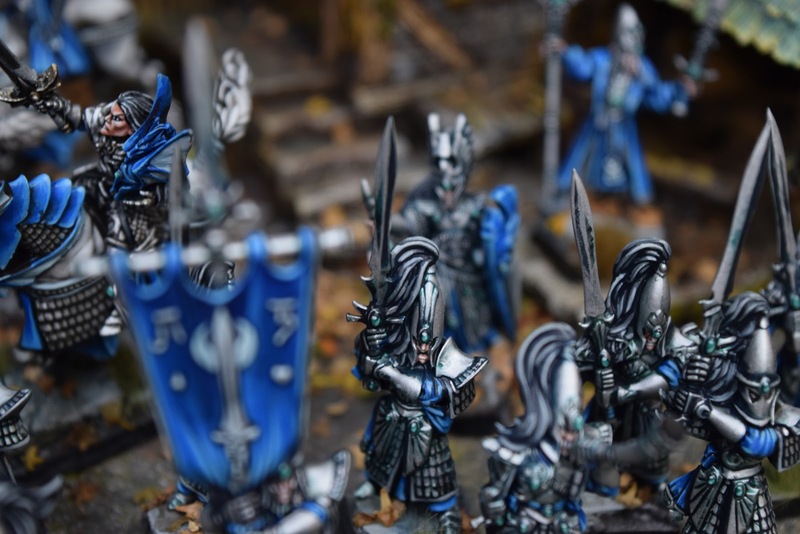 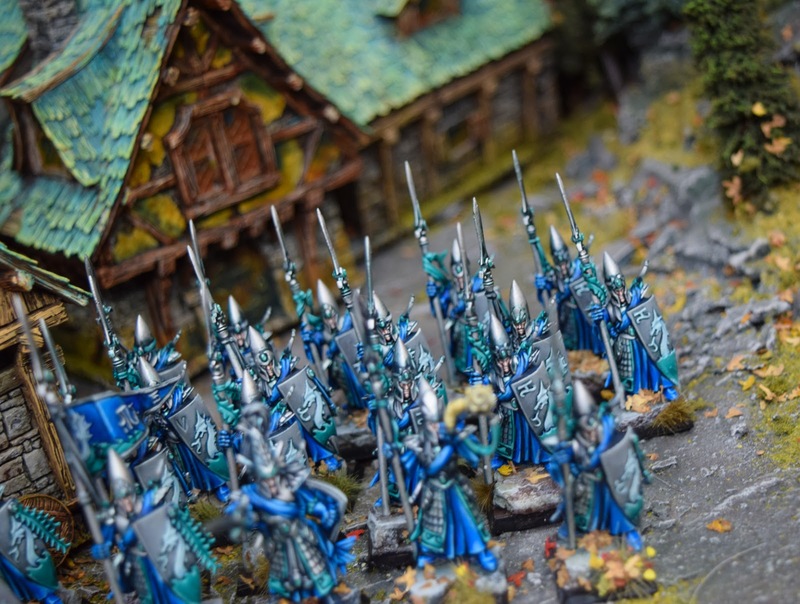 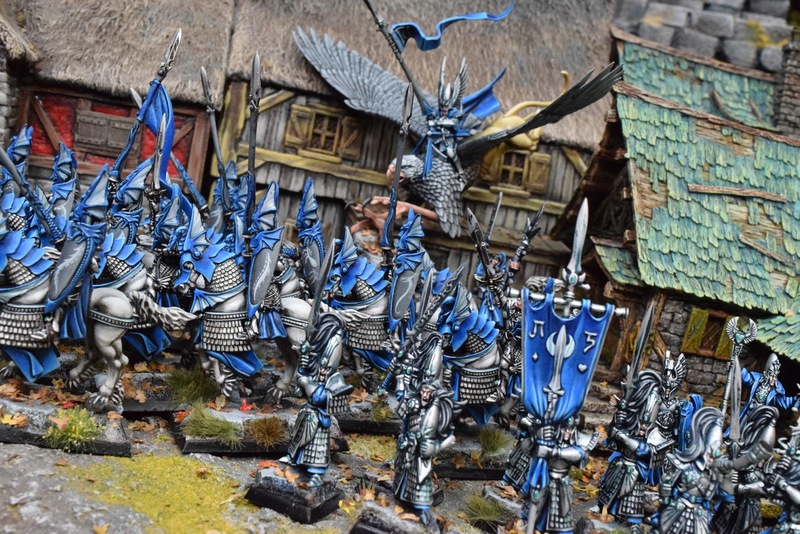 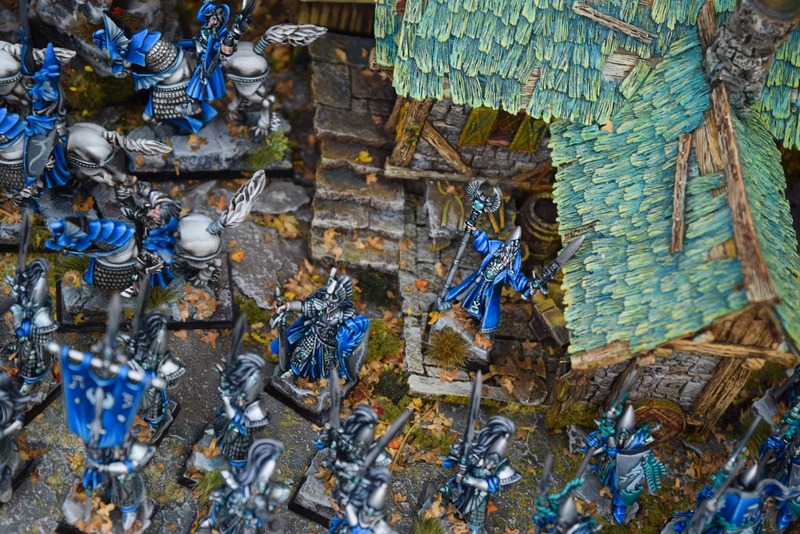 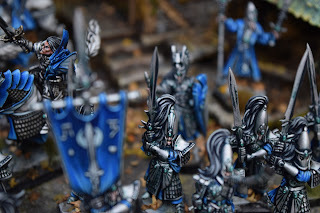 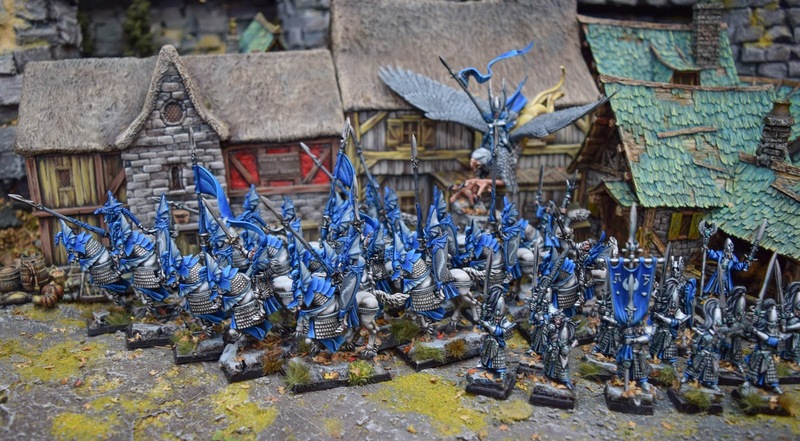 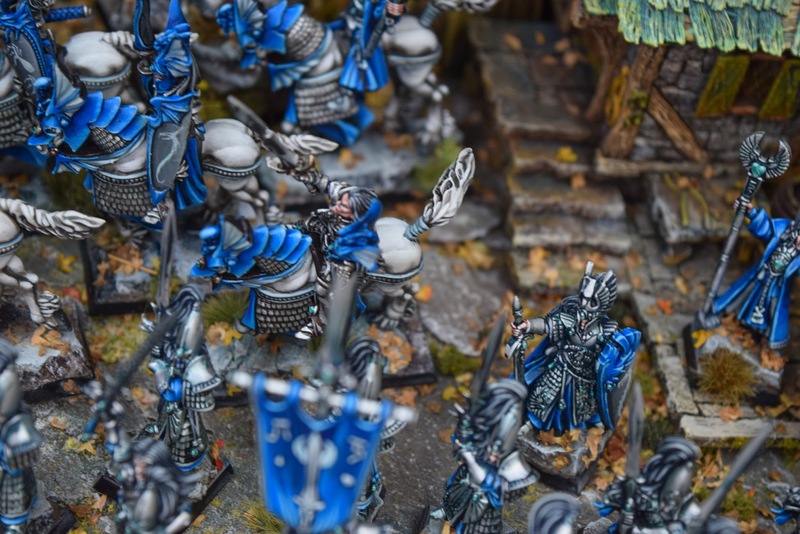 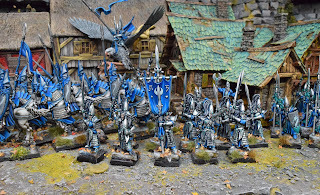 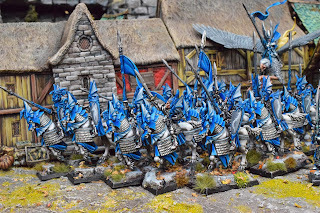 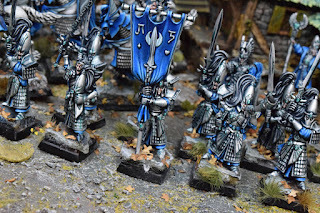 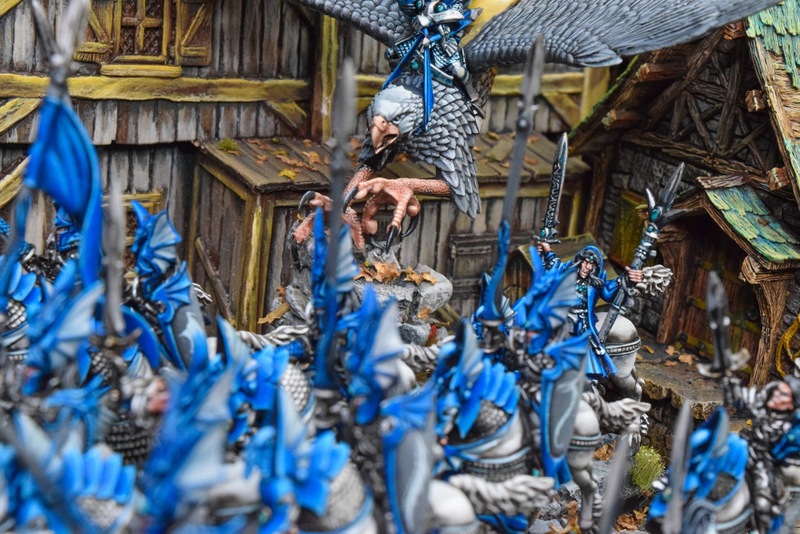 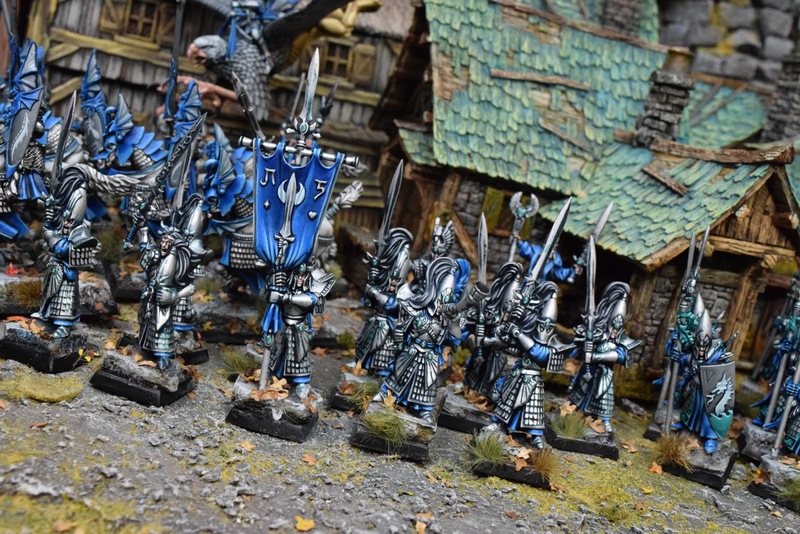 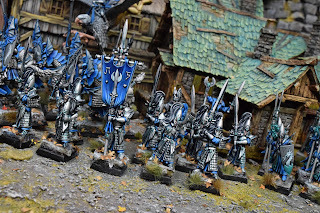 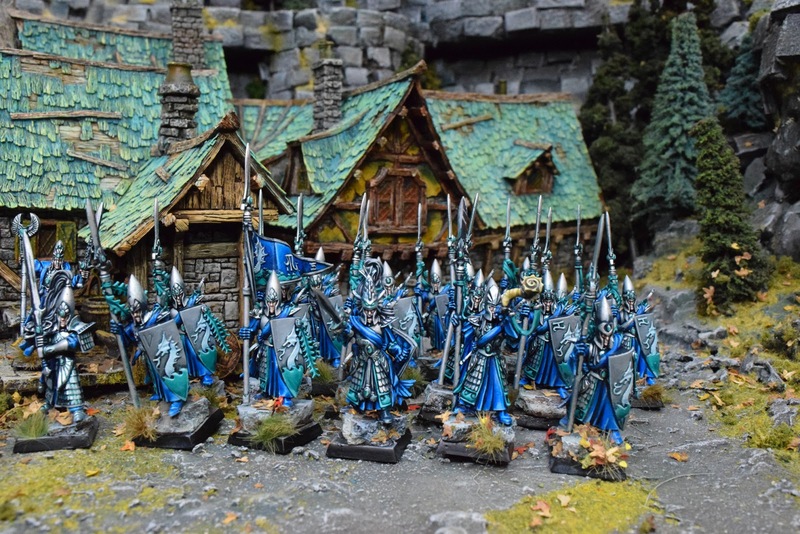 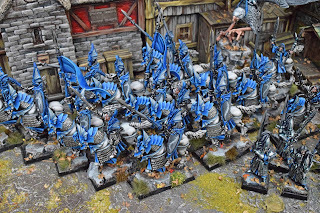 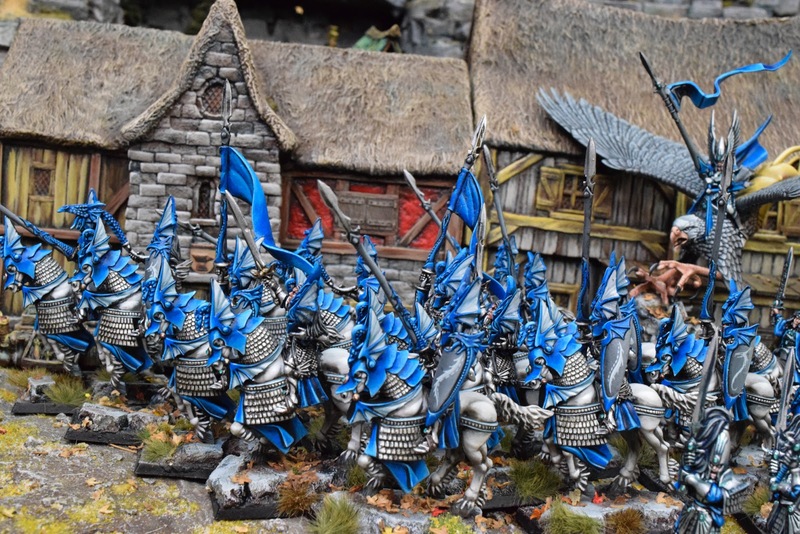 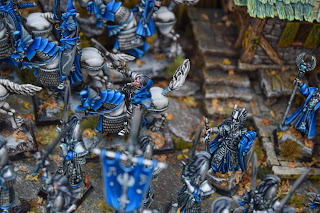 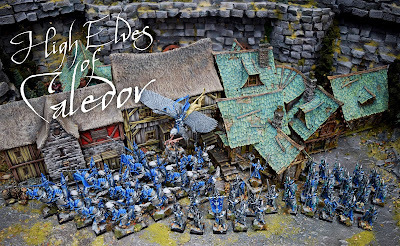 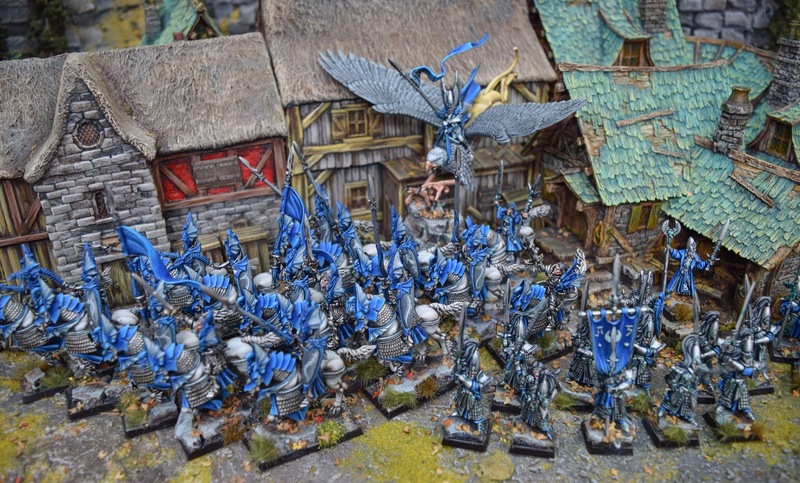 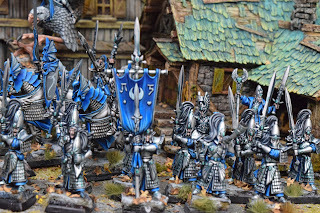 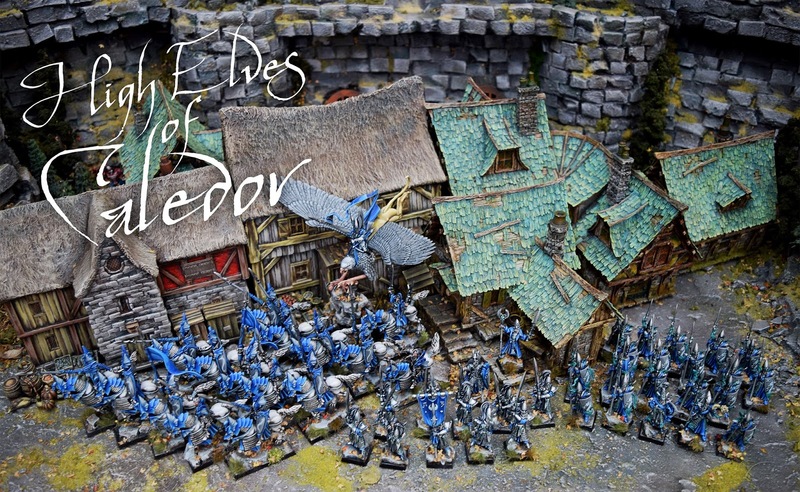 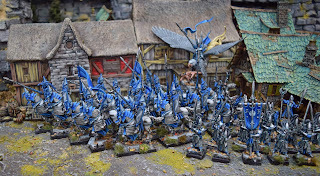 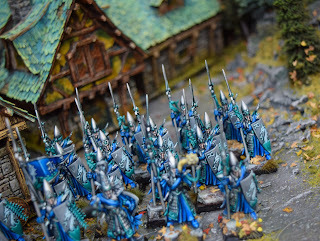 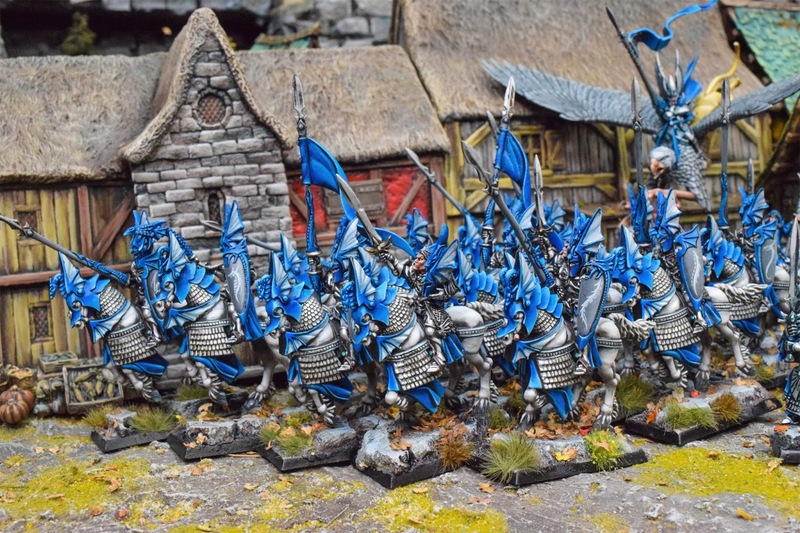 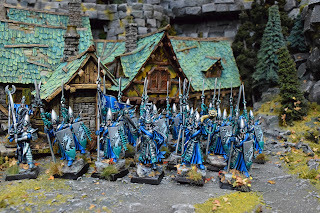 Blue summer continues with some High Elves of Caledor. 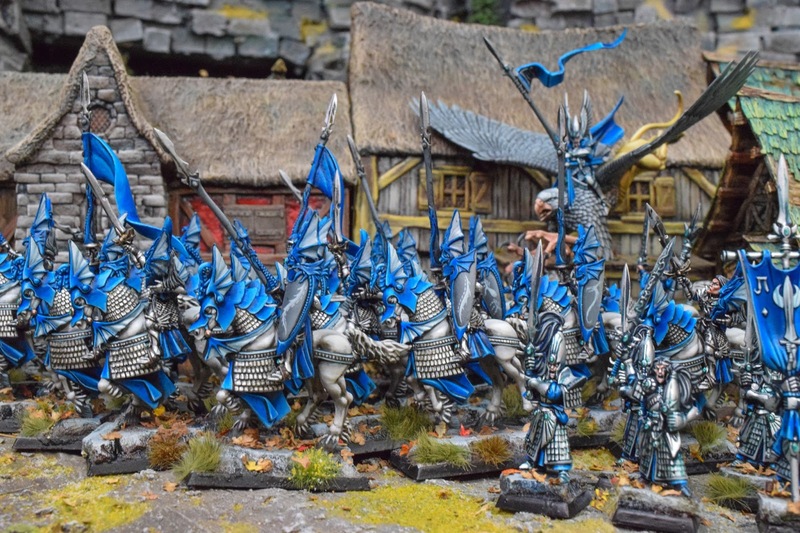 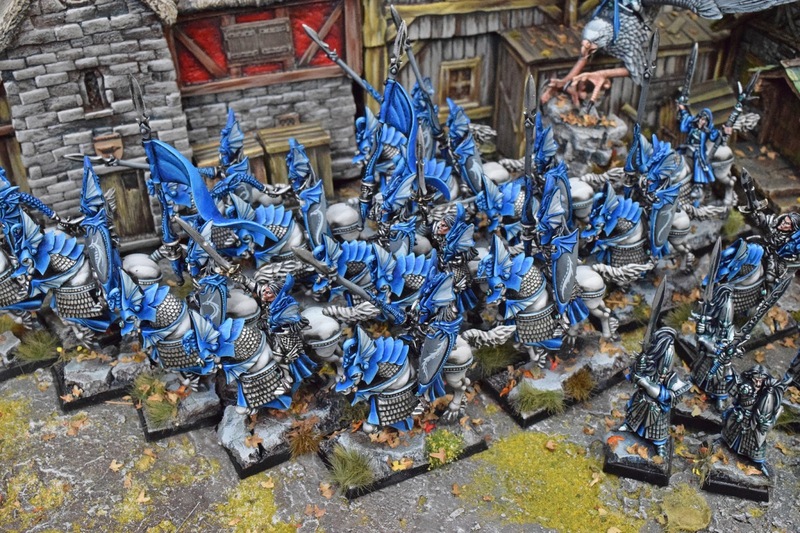 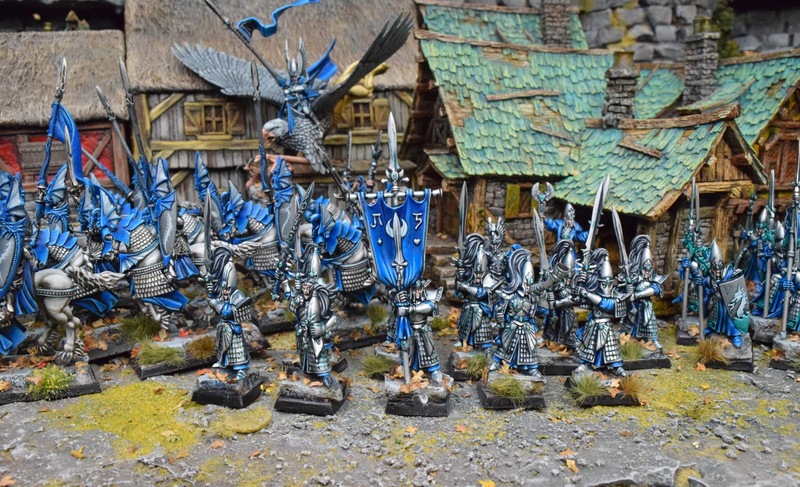 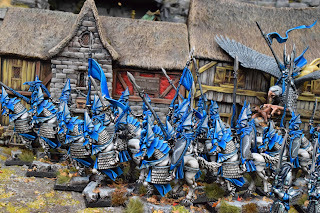 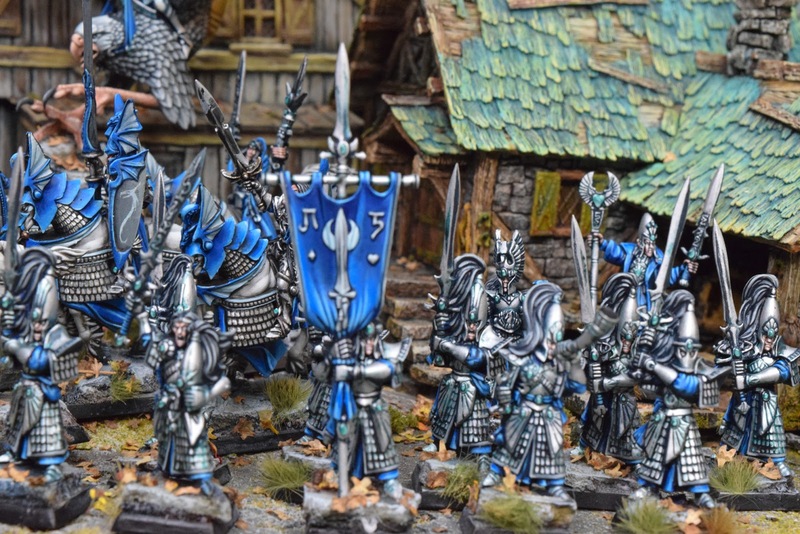 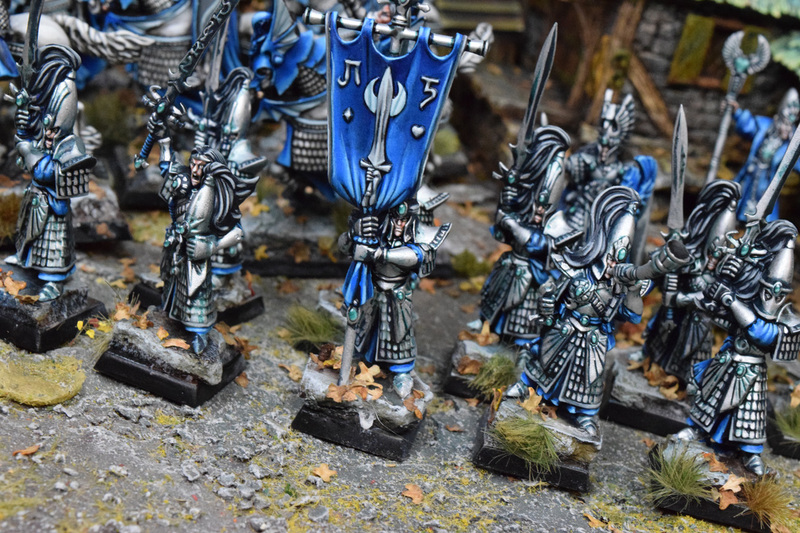 The customer wanted a balance of traditional Dragon Prince scheme mixed with a few Lord of the Rings influences such as Dol Amroth which you will see in the uses of darker gray and whites. The Sea Guard were, as a lover of all things nautical, a set of models I had wanted to paint for a long time and the sea green addition turned out to be a nice touch to set them apart that doesn't pull them out of the army. 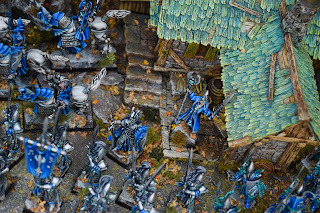 Up next - a new photo backdrop I have been excited to start all summer, and more blue and grey Tau to go on top of them. 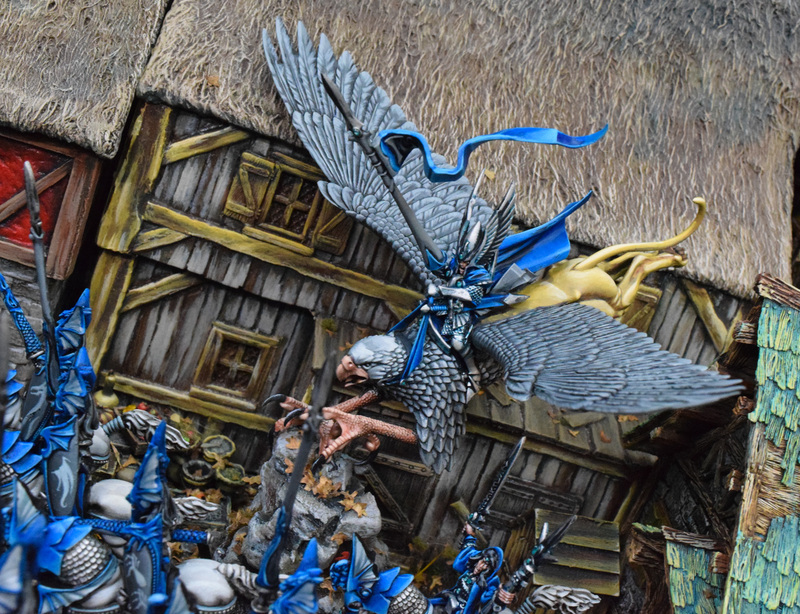 Stay tuned as this will be the best one yet and lots of build images will be posted on Instagram and Twitter.